i fell in love with jay ryan's illustrations ever since i saw his work for a few of andrew bird's albums and then his dustjacket illustration for michael chabon's book the final solution. i love his handlettering the most, but his illustrations are distinctively sweet and vicious at the same time, perfect for the concert poster/book cover market. 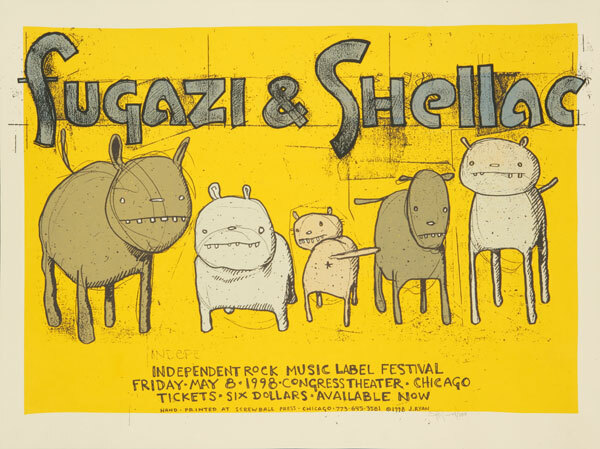 jay's silkscreened posters come out of his printshop the bird machine, based in chicago. there were way too many pieces to choose from, but here are a few of my favorites. check out a short profile documentary about jay ryan's work and music here.